The village of Geraldine is set on the popular scenic route from Christchurch to Queenstown. Being a 90-minute drive from Christchurch, it is an ideal stopover as you take in the Rakaia Gorge and Mt Hutt ski field. The region enjoys a moderate climate with an average rainfall of 630mm (approx 25 inches) and an impressive total of annual sunshine hours. 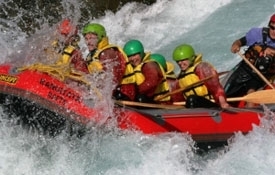 Local attractions include trout and salmon fishing, white-water rafting on the Rangitata, and the option of ski fields within a 2-hour drive. 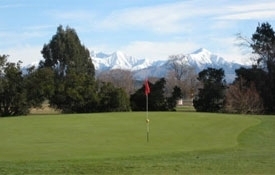 There is a choice of two golf courses including the top quality Denfield 18-hole golf course within a 10-minute drive. Talbot Forest, at the heart of the village, has many short bush walks, as does the Waihi River. The village features a museum, vintage machinery museum, glass blowing and sculpturing, a lovely cinema and a fine choice of cafés and restaurants. There is also a gourmet cheese shop and The Giant Jersey. Increasingly, people are staying here at Geraldine for their last night before flying home via Christchurch International Airport. Fancy a round of golf in pleasant country surroundings? 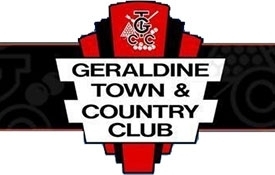 The Geraldine District Golf Club is the place for you. The course called Denfield is situated on the Orari Back Road just 5km from the centre of Geraldine. The 5544m layout is noted for its fine plantings of trees and shrubs, magnificent greens and wonderful views of the nearby mountains. Horse trek through the Peel Forest near Geraldine with friendly guides and well mannered horses. 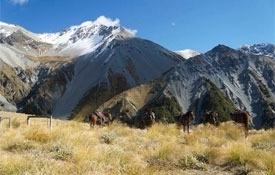 See some of the most gorgeous countryside in South Canterbury. 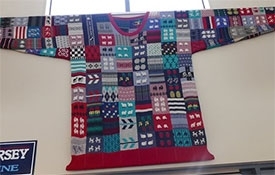 The Giant Jersey is an enormous knitted jersey; 16ft from wrist to wrist, 7ft high, 5ft wide and weighs 5.5kg. It is made up of a patchwork of patterns and colours. The jersey has been recognised by The Guinness Book of Records and is indeed the largest jersey in the world! The shop specialises in the manufacture of pure New Zealand woollen knitwear. It is currently on display at Kiwi Country Geraldine.